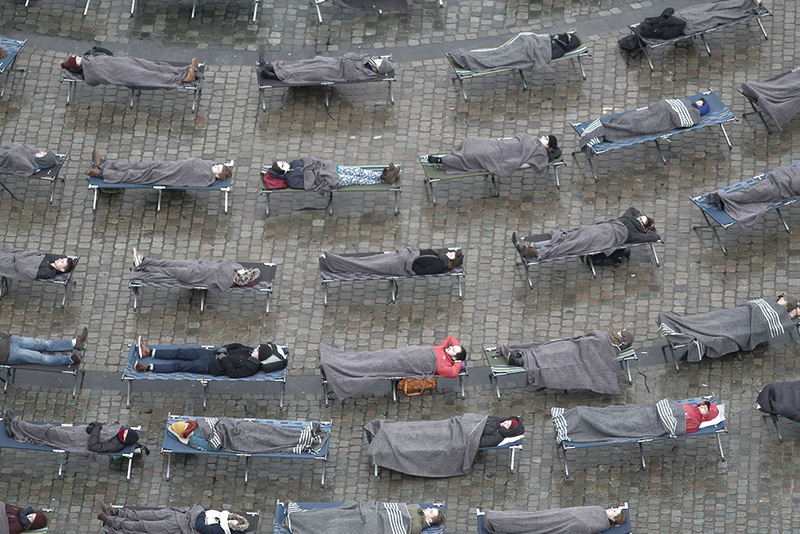 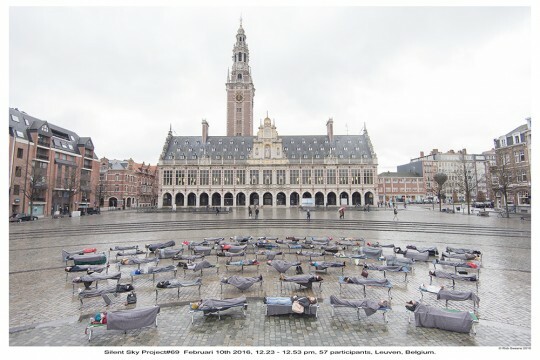 People from Leuven looked at the sky in silence on a square in the centre of the city in front of the university library. 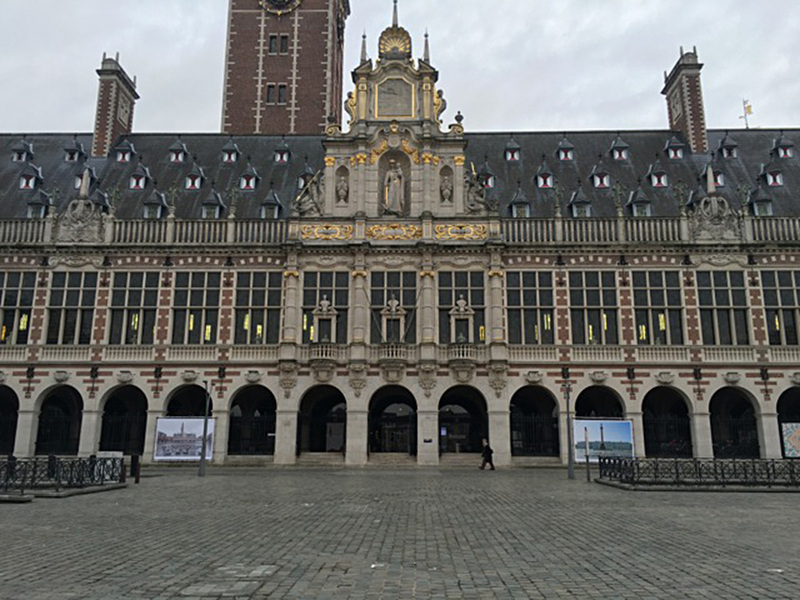 This university is one of the oldest in Europe. 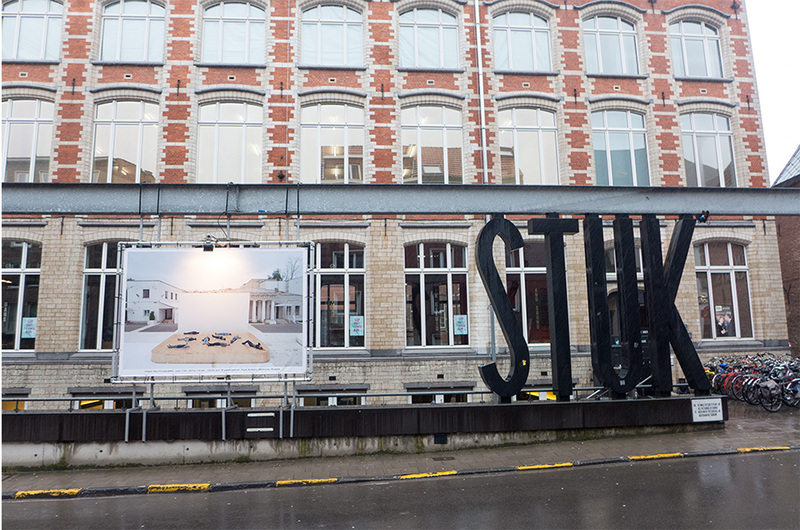 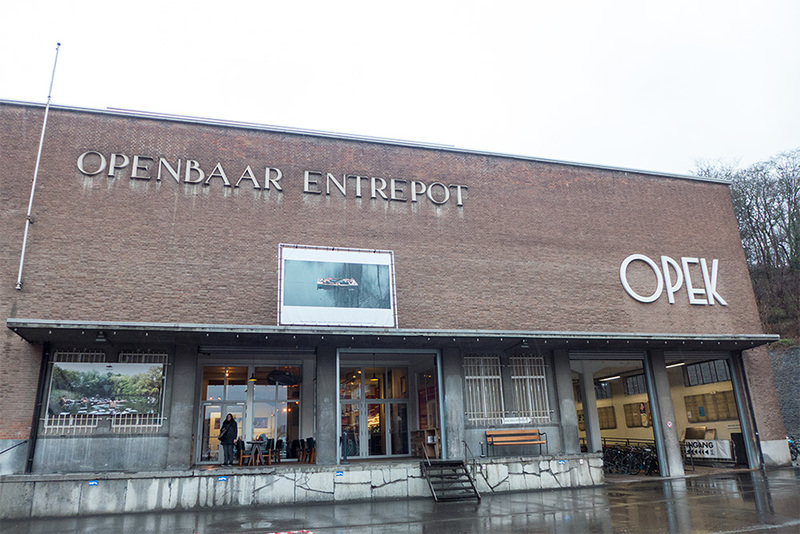 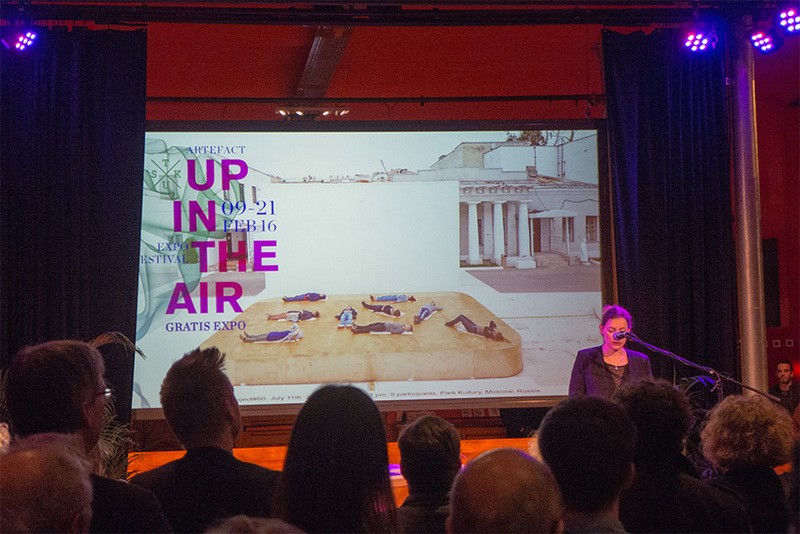 Organised by STUK for the festival Artefact – Up In The Air –. 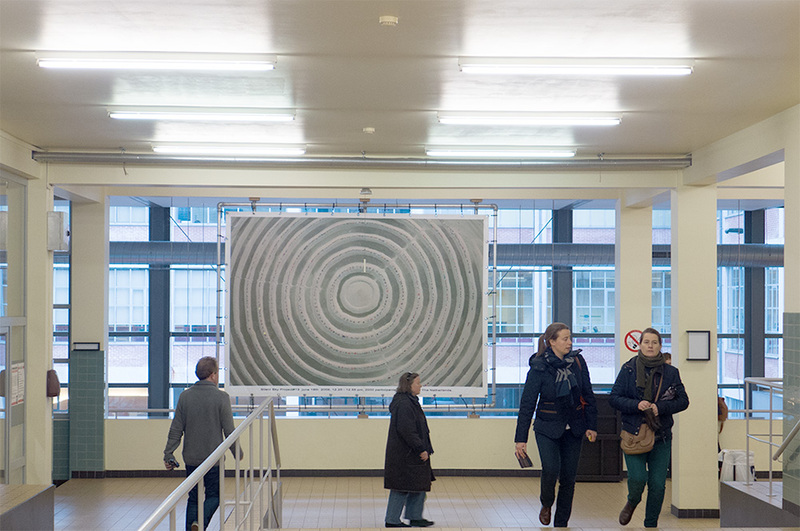 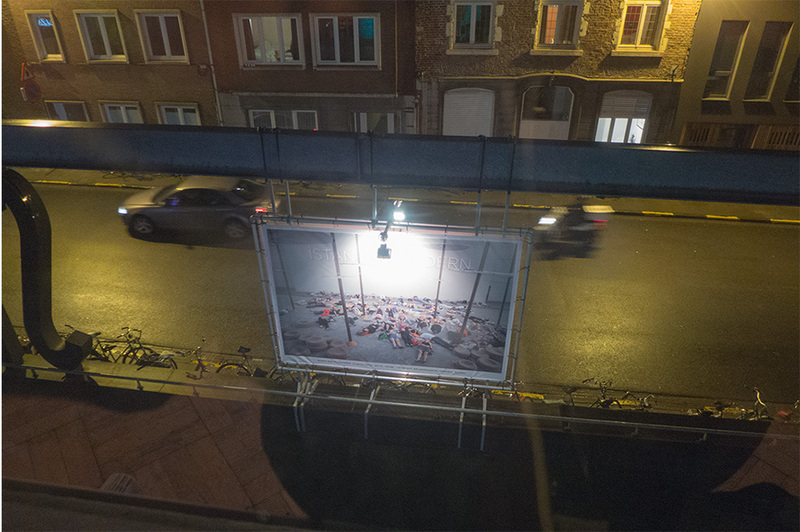 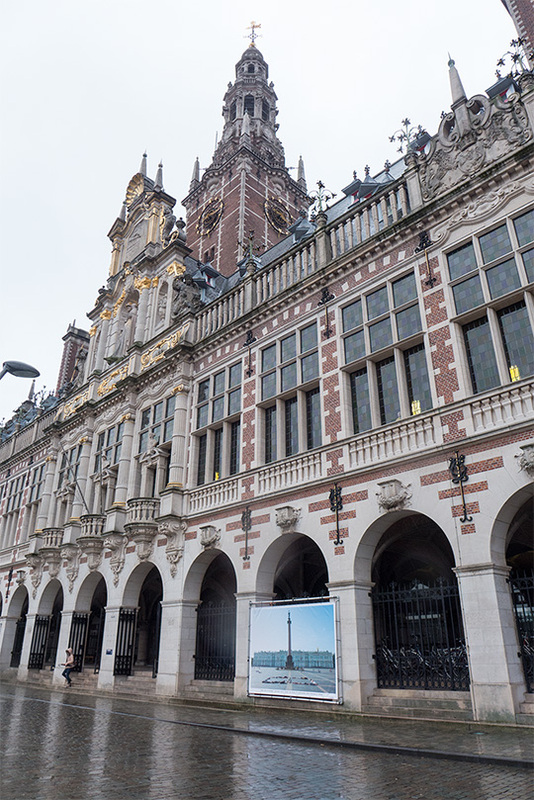 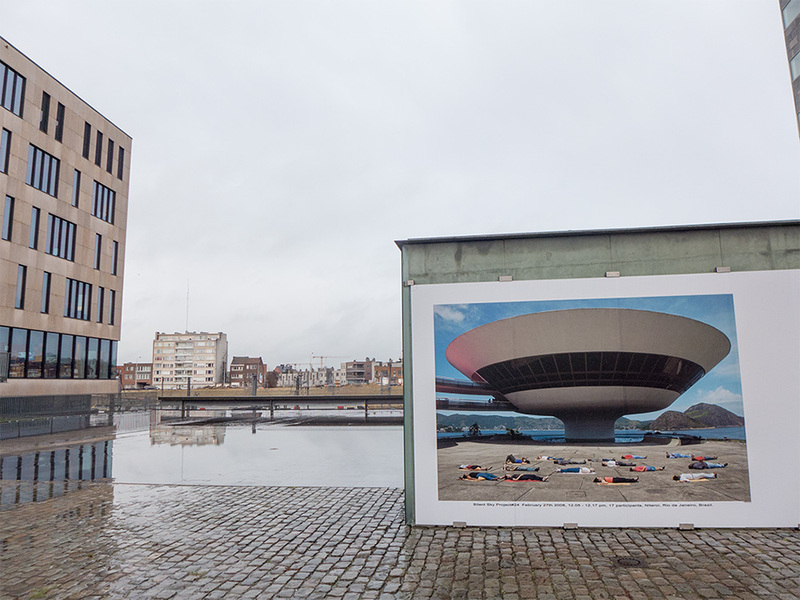 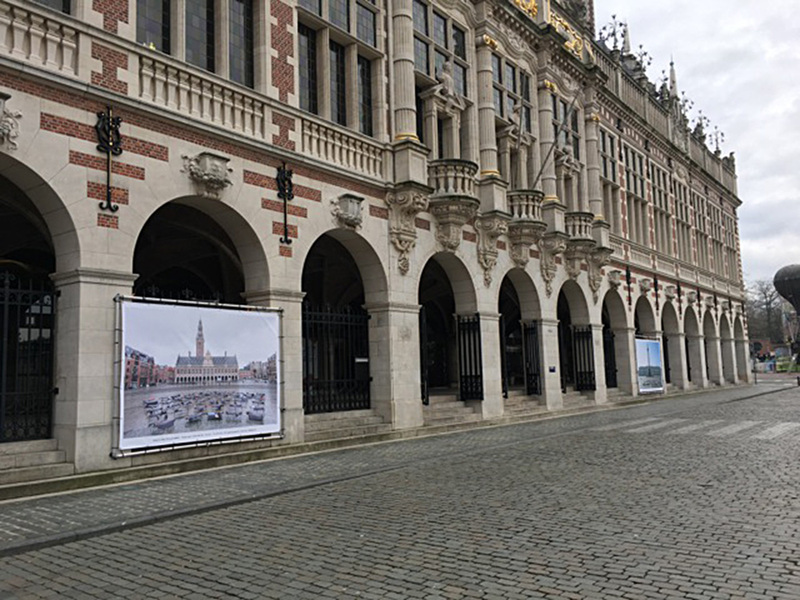 On five locations in the city of Leuven large photo’s ( 245 x 350 cm) of the Silent Sky Project# are shown in public space for the exhibition Artefact -Up In The Air-. 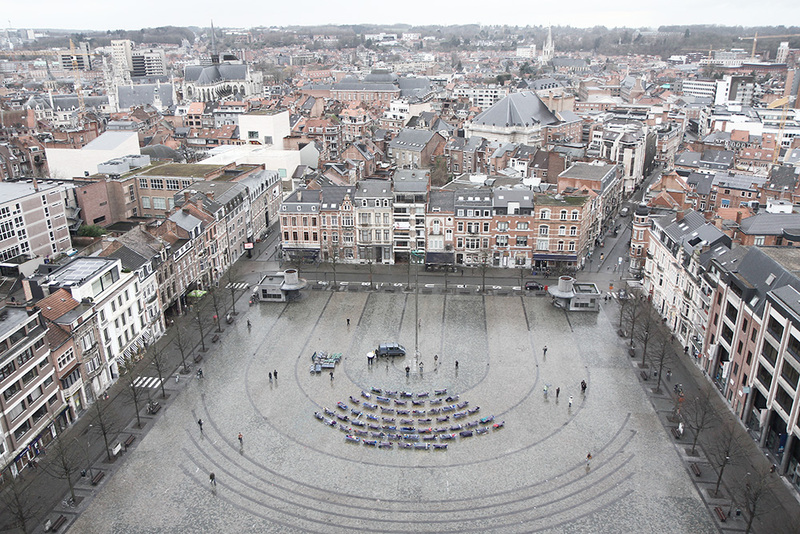 Karen Verschooren opening the festival.